If you’re feeling a little bit daring, switching out the terracotta-and-Ronseal palette for something a little brighter can have a transformative effect. 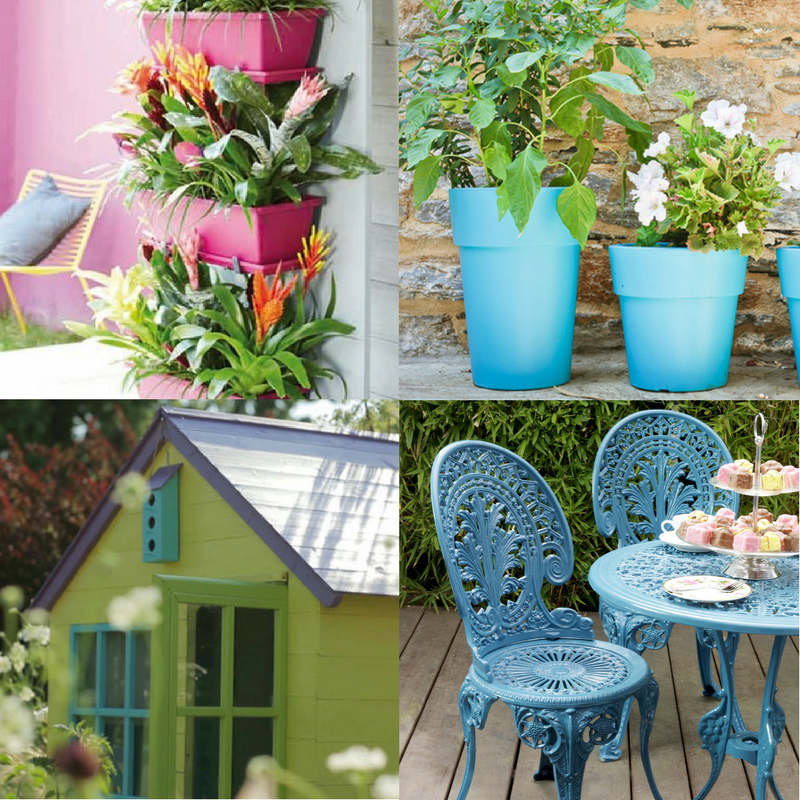 There’s no need to paint your house bright pink – garden centres have cottoned onto this more modern approach and there are lots of cheerfully coloured pots available not to mention an ever-growing range of garden paints and stains. Even painting some old terracotta pots can ring the changes – and if you’ve got kids lurking about, this is a fun thing to do together. Garden paint is a good choice, but if you’re not too worried about it lasting forever, ordinary emulsion paint (those tester pots are perfect) does the trick too. 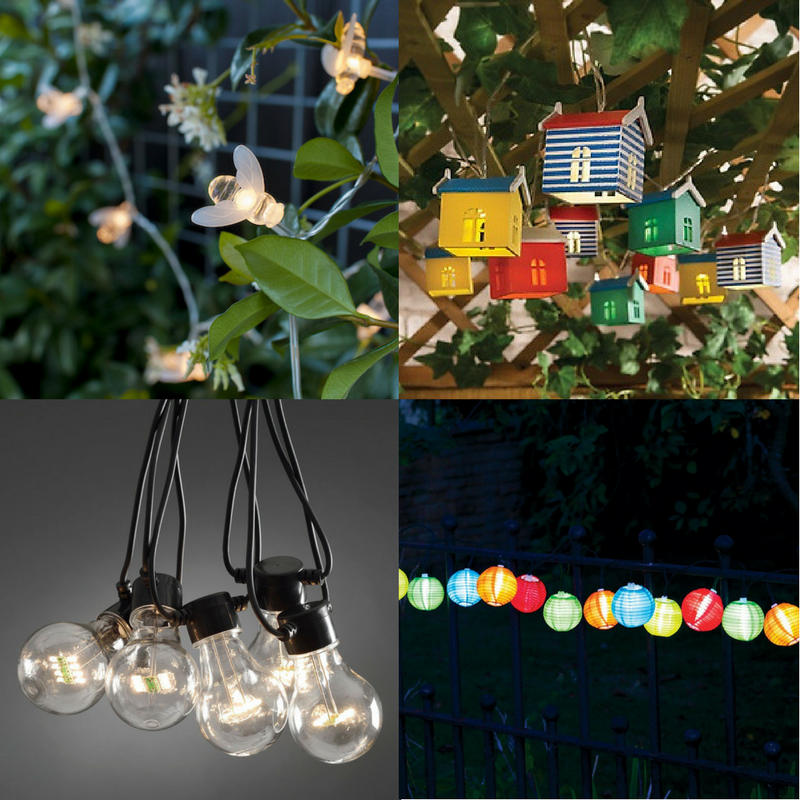 Now’s a super time to stock up on garden lighting – with summer in full swing there are great bargains to be found. The choice is fantastic and lends a sunny, Mediterranean ambience to those lazy evenings with a glass of wine on the patio (and helps to convince ourselves that we’re in sunnier climes when it’s a bit dreary). 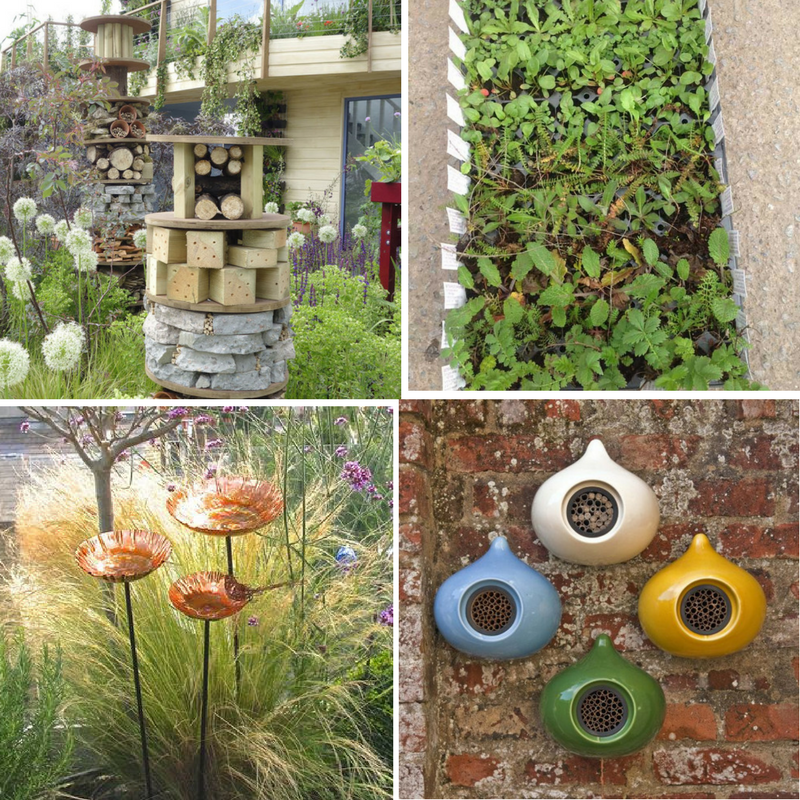 Nigel Dunnett‘s beautiful Chelsea garden was not only eyecatching, but wildlife friendly as well, and we think it’s great to see wildlife being put back at the centre of our gardens. Whether it’s installing wildlife hotels (like our beepalace), planting species that are a haven for bees or simply leaving a small area of the your lawn unmown for the clover to grow and the bees to enjoy, there are lots of simple ways to turn your garden into a wildlife haven and heaven. 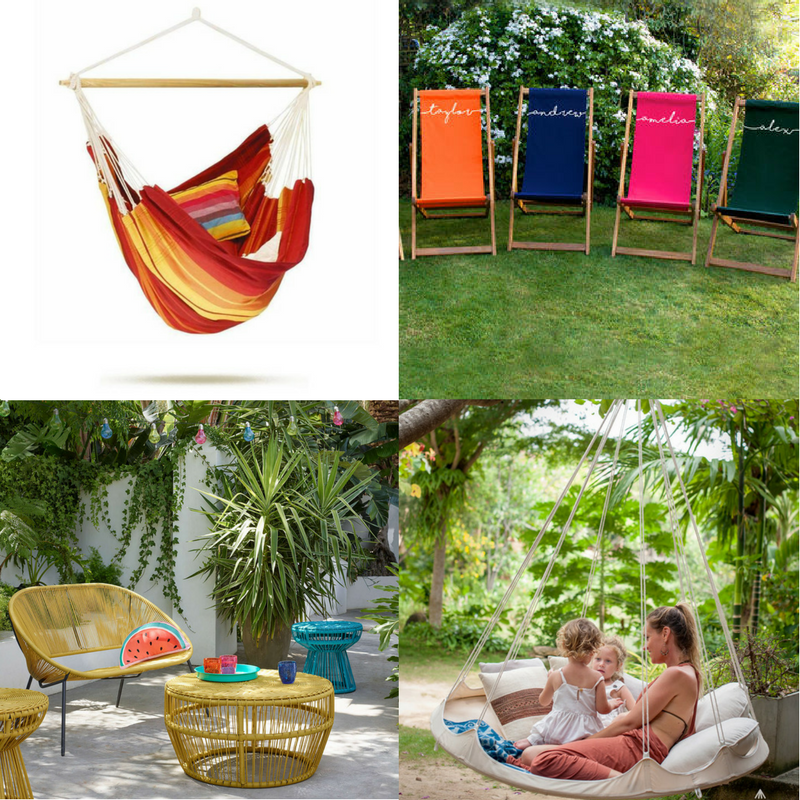 Hammocks, deckchairs, wicker furniture…. 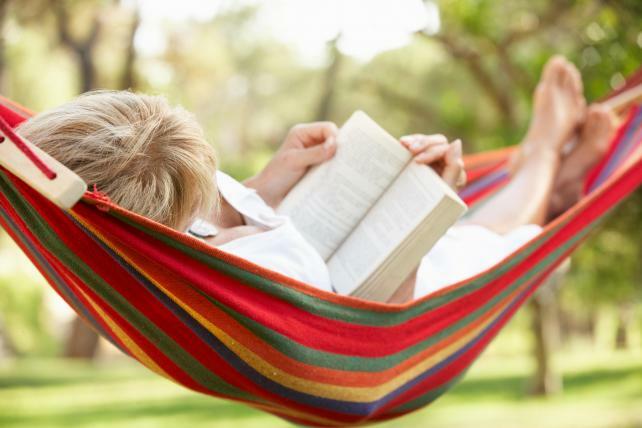 it seems to us that there’s a bit of a nostalgic theme emerging in the world of garden furniture lately, though we certainly have no recollection of any those things being quite so brightly coloured. Wicker in particular seems a bit of a love-it-or-loathe-it style, but whatever you think of it, there’s no denying it certainly feels summery! 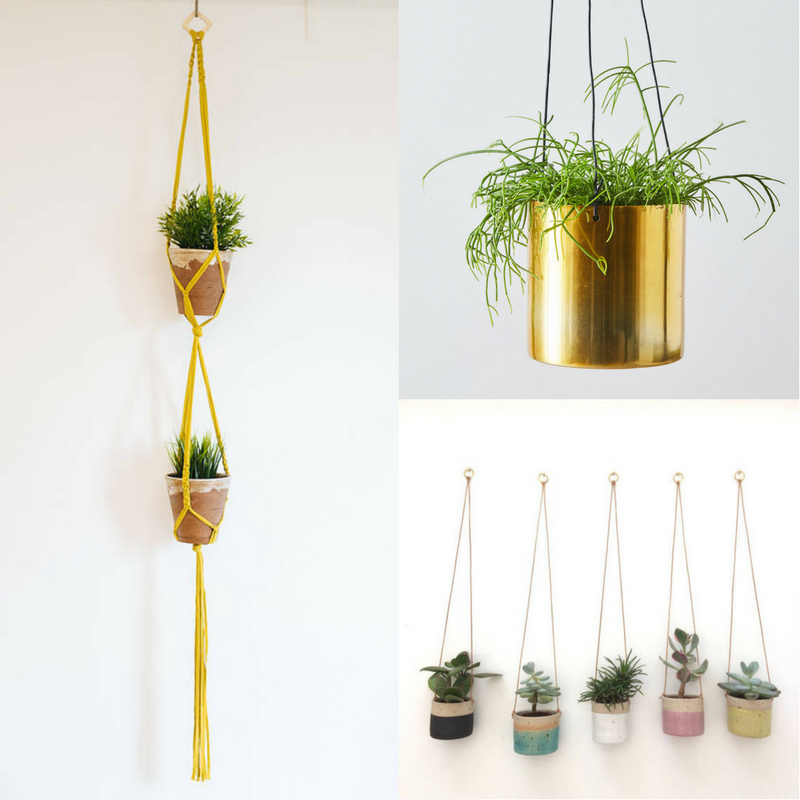 We first noticed the fact that the humble macrame plant hanger had made something of a comeback at last year’s GROW London, and the idea of suspending plants in their pots is definitely back in fashion. Obviously more of an indoor item, but then whoever said that lacking outside space meant you couldn’t enjoy plants in your life?